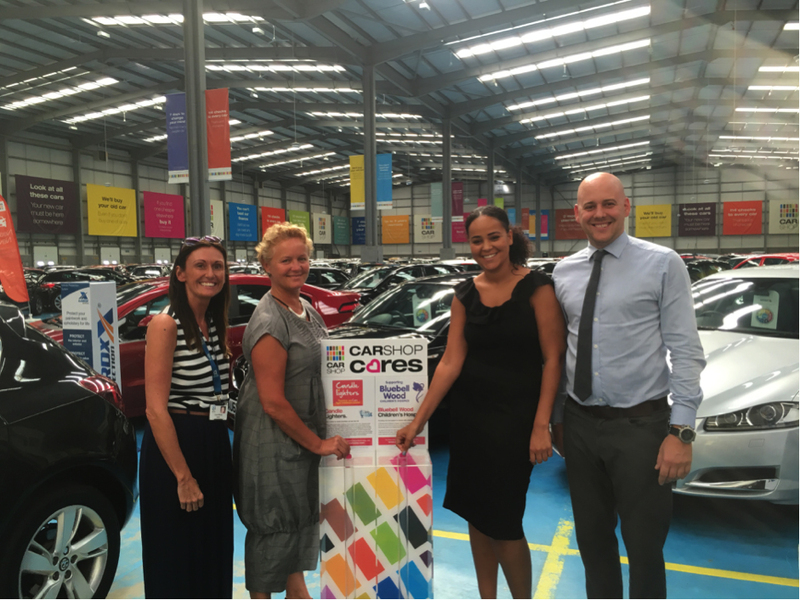 Award-winning car supermarket, CarShop, is making a big noise about the fact it has chosen Global’s Make Some Noise as the first ever national charity to be supported by its brand new CarShop Cares charity programme. CarShop Cares was launched by the retailer in a bid to consolidate charity efforts, and really bring to life all the commendable charity work currently taking place across the company. Prior to its launch, though CarShop colleagues have always actively supported various charities, much of the fundraising work was undertaken by individual colleagues and teams across the business. Facilitated by the accolade of the Investors in People Silver Standard accreditation, the retailer’s strategy to align corporate and individual charity goals prompted a number of significant changes within the company. In doing so it was decided that the business would donate £1 for each of the c.25,000 cars sold each year contributing to the CarShop Cares programme, alongside the announcement of an annual budget to support a series of fundraising events and initiatives throughout the year. Add into the mix that every colleague now has the option to take an additional paid day off, on top of their annual leave entitlement to support charity work, and it’s clear to see CarShop is dedicated to making the CarShop Cares programme a stellar success. Whilst the programme’s initial objective was to support one company charity, by taking this to a colleague vote it was decided to expand the support of the programme; the majority of fundraising efforts will still support one national charity and that is to remain the focus, yet there is scope for the retail stores to support locally too. “This is an exciting time for CarShop and we’re very much looking forward to uniting as one team in support of the CarShop Cares programme in the coming months. This programme really pays testament to how the shape of business has changed though continual investment, innovation and evolution, and dedication to the customer and the communities local to our stores. CarShop colleagues were responsible for selecting the national charity via a company-wide vote, with Global’s Make Some Noise pipping two other charities to the post. This tremendous charity was developed to support small but brilliant charities helping disadvantaged children, and young people across the UK. By uniting some of the best-loved radio stations in the UK – Heart, Capital, Capital XTRA, Classic FM, Smooth, LBC, Radio X and Gold - to provide small charities with a voice, fundraising support and also by providing vital training of key skills such as marketing, it builds foundations to generate ongoing success. “We were absolutely delighted when CarShop announced that they had chosen Global's Make Some Noise as their first ever CarShop Cares Charity of the Year! We're so pleased to be working with them in this exciting new partnership and can’t wait to see what fantastic fundraising ideas they come up with over the next year. Because supporting locally is so important to the CarShop Cares programme, each store will have an in-store presence whereby customers will have the opportunity whether to donate the £1 either to Make Some Noise’s local beneficiary, or to one other local charity selected by the stores. KidsAid, based in Northampton, gives therapy to children who have suffered traumatic events in their lives. The Pepper Foundation, based in Tring, fund’s the Pepper Children’s Nursing service which provides vital hospice at home care for terminally ill and life-limited children. The Candlelighters Trust, based in Leeds, and The Ear Foundation, based in Nottingham, are two of the small local charities supported by Global’s Make Some Noise – The Candlelighters Trust supports children with cancer and their families. The Ear Foundation transforms the lives of deaf children, young people and adults maximising the benefits of today’s hearing technology in communication. The Hamlet, based in Norfolk and 4YP, based in Suffolk, are both supported by Global’s Make Some Noise and are local to the Norwich store – The Hamlet aims to improve the lives of children and adults with disabilities and complex health needs. 4YP provide and co-ordinate services that aim to improve the social, emotional and physical health and wellbeing of young people. Y Bont, based in Cardiff, enables disabled children to fulfil their potential. Give a voice to small charities across the UK. Swindon Down's Syndrome Group, based in Swindon, provides support to children with Down’s Syndrome and their families through Speech and Language Therapy, information, support and play and learning opportunities. You can find more information about the CarShop Cares programme at https://www.carshop.co.uk/carshop-cares.